The VMRO DPMNE’s party's aggressive attacks on Western diplomats and flirtation with Moscow are the counter-productive acts of frustrated politicians facing likely demise, observers say. Read more. Syrian-born activist Shadi Martini - who advocates for Syrian war victims - says Donald Trump’s ‘Muslim’ ban is not only ‘killing’ the hopes of refugees but undermining America's own security. Read more. Despite the tensions between Albania’s two ruling Socialist parties, their coalition will likely survive, as each needs the other in order to win the upcoming election. Read more. Members of Macedonia's main ruling VMRO DPMNE who donated money for the party in the 2014 elections have been questioned by the Special Prosecution, SJO, pro-government media reported on Monday. The media and the donors, of which 1,500 may have been questioned, claim that the SJO’s actions are a form of pressure being applied to the ruling party ahead of the local elections, slated for later this year. The SJO did not comment on their current pre-investigation activities. The first clinic in Croatia for people addicted to the internet has opened in the capital, Zagreb, daily newspaper Slobodna Dalmacija reported on Monday. Some estimate that there are over 400,000 internet addicts in the country. Eleven people have been arrested in Albania – including a member of Albanian law enforcement – after police broke up a prostitution ring operating in the capital, Tirana, police announced on Monday. Three taxi drivers and a member of the police force in Tirana were among those arrested. The crime ring was using hotels and motels across Tirana for its illegal operation, with taxi drivers accompanying the girls who were being exploited. The girls involved are staying in a rehabilitation centre for as long as they need, the police stated. The Croatian state attorney’s office is investigating a case relating to suspicions surrounding per diems made to government advisors in 2015 amounting to over 40,000 euros. State revisions showed on Saturday that three advisors to the Prime Minister at the time, Zoran Milanovic, received the money as daily allowances for trips they denied going on. The attorney’s office suspects that the per diems were illegally paid to someone. The 48th annual Mimosa Festival kicked off over the weekend in the Montenegrin coastal town of Herceg Novi, beginning a three-week programme of events celebrating local traditions and customs. 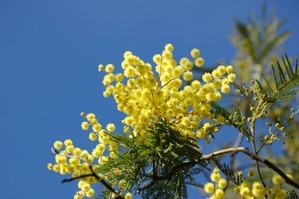 Named after the mimosa flower, a variety that blooms over winter in the region, the festival was established as an official event in 1969, and since then it has become of the most popular annual events in Montenegro. The festival starts in February, to herald the coming spring and features numerous cultural and sports events, carnivals and masked balls. The special caravan with musicians, mimosas flowers and beautiful girls called majorettes takes the tour around some European cities during those days promoting Herceg Novi and the Montenegrin culture. Montenegro’s main opposition party says it will organise a referendum on the country’s membership in NATO, with the support of Russia, the Associated Press reported. The Democratic Front said Monday it will organise a “people’s referendum” if the ruling majority keeps on insisting the membership decision should be made in parliament. The party’s leader, Andrija Mandic, says the popular referendum has the support of the Kremlin. Kosovo’s President, Hashim Thaci, used a tweet about his recent skiing trip to the Kosovo ski resort of Brezovica, where the local population is majority Serb, to highlight his want for better cooperation between Kosovo and Serbia. Kosovo’s President has been appealing for reconciliation between Albanians and Serbs, but some of his efforts have come under heavy criticism by both sides, such as his visits in 2016 to memorials for Serb victims of the Kosovo war. Three Chinese citizens remain missing after a gas explosion at the Bulqiza chrome mine in central Albania left them trapped 1,500 below ground on Saturday, with rescue teams working to free them. Three other workers from China were seriously injured in the accident and are currently being treated in hospital. The six workers involved are employed by the Chinese-owned Wenzhou Mining Co Ltd, which was contracted by Albania’s AlbChrome to carry out works at the Bulqiza mines. European Athletics has cut the Belgrade Marathon from its calendar of events in 2017 because of debts owed by the event managers, James Mulligan, Head of Communications at European Athletics told Serbian media on Monday. Mulligan told N1 television network that European Athletics suspended the licence for the Belgrade Marathon in September 2016 when they realised there were problems with unpaid dues, but now the sporting organisation has officially erased the Belgrade Marathon from 2017 calendar of event as well. "Our decision will stay in force as long as the problems are not solved by Belgrade Marathon," Mulligan told media. The Belgrade Marathon claimed that their financial problems are not a secret and they are working to solve them. The US embassy in Pristina welcomed the agreement reached between Kosovo’s Minister of Environment, Ferat Shala, and the mayor of North Mitrovica, Goran Rakic, on a revised urban plan for the pedestrianisation of King Peter Street, which runs through the divided town of Mitrovica. The agreement was part of a deal for the removal of a two-metre-high concrete wall built by Serbs near the bridge across the Ibar River in the ethnically-divided town. “We applaud the municipal assembly of North Mitrovica/e for its prompt adoption of the new plan. The agreement reached will result in the construction of a beautiful pedestrian area that fulfills the 2015 agreement on freedom of movement for all of Kosovo’s people,” the US embassy said in a written statement. Bosnia's state court has sentenced a man to four years in prison for fighting in Syria. The Court of Bosnia and Herzegovina found Mehmed Tutmic guilty of having collected funds and in July 2013 crossed through Serbia to Turkey, where he illegally crossed the border with Syria in order to fight with the so-called Islamic State. Tutmic returned to Bosnia on 11 August 2014, and the indictment charged him with becoming a member of and assisting the terrorist group. 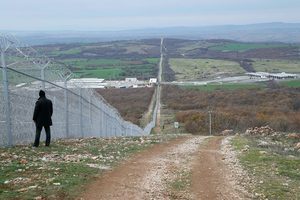 Bulgaria cannot protect the European border effectively without having access to the Schengen information system, Bulgaria’s president Rumen Radev told his German counterpart Joachim Gauck during his first official visit to Germany. Radev said that Bulgaria has fulfilled all the criteria to become a part of the Schengen area of the EU and noted that Germany is an important strategic, economic and investment partner for Bulgaria. Gauck praised Bulgaria for its commitment to protecting the EU border, but at the same time added that he hopes Bulgaria will be able to succeed in its internal challenges, such as the fight against corruption. Croatian arms producers in 2016 sold over 600,000 infantry weapons worth around 200 million euros, according to preliminary unconfirmed figures from the Croatian economy ministry, reported on Monday. According to these preliminary figures, the Croatian arms industry grew by 20 per cent compared to 2015, which was a record year when the industry grew by 37 per cent. The coalition of Bosniak national parties in the Sarajevo city council - the Party of Democratic Action, SDA, and the Union for Better Future, SBB - elected Abdulah Skaka as a new mayor of Sarajevo. This delivered a new blow to Bosnia's opposition coalition of centre-left parties, led by the Social Democratic Party, SDP, which claimed to have the majority until the session of the city council, only to see two of its MPs switching sides and voting for the SDA-SBB candidates. Both MPs were swiftly kicked out of their respective parties by the end of the day. The position of Sarajevo mayor is mostly ceremonial as most of the administrative, financial and other duties are divided between city's four municipalities and the Sarajevo canton. Yet all parties still fight for it regularly, due to the visibility and importance of the Bosnian capital. National security adviser Michael Flynn will recommend that President Donald Trump support allowing the small Balkan nation of Montenegro to join NATO, POLITICO has learned — despite strong opposition from Russia. Tatjana Ristic, from Save the Children organisation, says the closure of the Balkan refugee route in 2015 has not solved the migrant crisis - and has only left child migrants in the hands of smugglers. Read more. Over 15 NGOs have threatened to sue the new anti-Soros movement after it accused them of taking foreign cash to destabilise Macedonia. Read more. 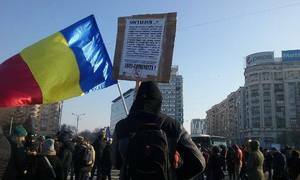 The echo of the huge anti-graft protests in Romania is being heard all over the Balkans, where opposition politicians and civic activists hope to capture a similar spirit of defiance. Read more. 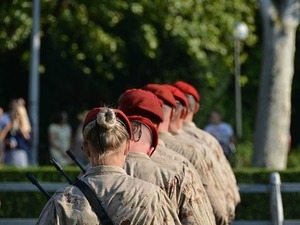 Over half of Croatian citizens support the idea of reintroducing compulsory military service, according to a survey conducted by Promocija plus polling agency in February. The survey, which questioned 1,300 people, found that 54.2 per cent of citizens support the plan, while 44.2 per cent are against it and 1.6 per cent either do not know or do not have an opinion on the issue. The idea of bringing back conscription, which Croatia de facto abolished in 2008, has been a hot topic of debate in the country within recent weeks, with various models having been proposed, including introducing compulsory military training camps during summer. Croatia is the fourth worst recycler of communal waste out of all EU states, the European Commission, EC, reported on Monday. With only 17 per cent of garbage recycled, Croatia only outperformed Romania (16 per cent) and Malta and Slovakia (both 12 per cent) in the EC’s ranking. The average recycling rate among the EU countries is 44 per cent. Romania’s President, Klaus Iohannis, reprimanded the Romanian government for adopting a controversial corruption decree in a parliamentary address on Tuesday, but gave his backing for it to remain in power, Reuters reported. 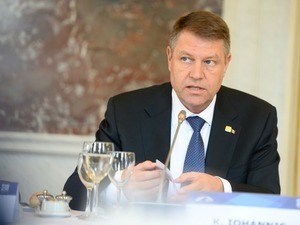 “Iohannis said the Social Democrats had won the right to govern in a December election and should continue to do so,” Reuters wrote. The government’s corruption decree, which would decriminalise some graft offences, sparked mass protests across the country after it was adopted on February 1, with citizens demanding the cabinet – led by Prime Minister Sorin Grindeanu - step down, even after it repealed the decree on Sunday. Some 25,000 Romanians attended demonstrations on Monday evening - far fewer than the more than 600,000 that massed onto streets across the country on Sunday. 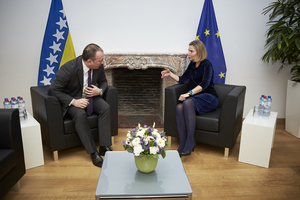 Today, Bosnian foreign minister Igor Crnadak met with Federica Mogherini, High Representative for Foreign Affairs and Security Policy/Vice-President of the European Commission. They discussed Bosnia's progress on the EU integration path over the last year, during which it applied for EU membership and is now responding to the candidacy questionnaire. They also discussed reform agenda efforts, regional cooperation, and cooperation on security, counterterrorism and the fight against radicalisation. The absorption of some of the 160 million euros that the European Commission granted to Bulgaria in September for border protection has fallen behind schedule due to the Ministry of Interior’s lack of administrative capacity, Bulgaria’s new interim interior minister, Plamen Ouzunov, announced on Tuesday. He explained that by January 19 the ministry had neither organised nor opened the 31 public procurements needed for boosting the country’s border protection capacity. Despite the delay, Ouzunov pledged that when the tenders are organised, the process will be completed publicly and transparently. In December, Bulgaria’s ex-deputy interior minister, Philip Gounev, warned that the absorption of the EU funds, granted to the country as an emergency measure against the migration crisis, is under risk due to political instability and administrative burdens. Romania's President Klaus Iohannis says the Social Democrat-led government has caused a "fully fledged" political crisis by pushing with a decree that would have weakened the country's anticorruption drive and triggered the largest mass protests since the collapse of communism, Radio Free Europe reported. Iohannis, who addressed a special session of both chambers of parliament on Tuesday, said the majority of Romanians now believed the country is going in the wrong direction. But he said he did not want to topple the cabinet led by Prime Minister Sorin Grindeanu or hold early elections. "The resignation of a single minister is too little and early elections would be at this stage too much: this is the space for manoeuver available," Iohannis said, urging members of the governing coalition to govern “responsibly." Almost two-thirds of Sarajevans change their daily life during periods of smog in December, according to new research. A survey conducted by the company Valicon found that 59 percent of 318 respondents said they limited movement during phases of high air pollution, which are common in Sarajevo in the winter months. The majority of citizens also responded that they did not support measures in which cars with odd or even numbered plates are ordered not to drive for the day, since they believed the problem was not caused by car fumes. Dirty fuels being burned in the homes were pinpointed by most citizens as the source of bad pollution. Bulgarian-born French philosopher and humanist Tsvetan Todorov has died at the age of 77, French media reported. Todorov, who was born in 1939 in Bulgaria’s capital Sofia and left the country at the age of 24, was an influential historian, anthropologist, essayist and literary critic. He was director of research at the French National Centre for Scientific Research, and a visiting professor at US universities including Harvard, Yale and Columbia. He published over 20 books, including ‘The Poetics of Prose’, ‘The Conquest of America’, ‘Facing the Extreme: Moral Life in the Concentration Camp’ and ‘On Human Diversity, Hope and Memory’. Bosnia, Croatia, Romania, Bulgaria and Macedonia are the latest to join a craze for YouTube videos in which countries ask US President Donald Trump to put them ‘second’ - a satirical swipe at his ‘America first’ slogan. Read more. Croatian footballer Dejan Lovren is launching a documentary film about his experience as a refugee from the war in Bosnia and Herzegovina, in an attempt to win public sympathy for Syrian refugees. Read more. Despite the fact that some cases involve the organised exploitation of minors, the Bosnian authorities have failed to find a workable solution to the widespread problem of children begging on the streets. Read more. Four Albanian citizens were arrested and two others detained on Tuesday on charges of smuggling citizens of Middle Eastern countries into Austria and Germany from Albania and Kosovo, the Albanian Prosecutor announced on Wednesday. The number of Albanians who have been charged with people smuggling, not only citizens from the Middle East but also North Africa, is now 18. Driton Gashi has been appointed the new director of the Kosovo Intelligence Agency, KIA, it was announced in a statement sent by the President’s Office on Wednesday. The brief statement says that Gashi was appointed in a joint decision by the President of Kosovo, Hashim Thaci, and Prime Minister Isa Mustafa. Gashi’s installation comes after the agency’s former director, Agron Selimaj, resigned, citing family reasons. His sudden departure on January 27, amid growing tensions between Serbia and Kosovo, has been shrouded in suspicion. 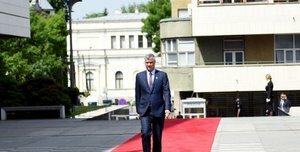 Kosovo’s President, Hashim Thaci, will ask the European Union to implement visa liberalization for citizens of Kosovo and to accelerate the process of his country’s membership to the 28-member club during his two-day visit to Brussels starting on Wednesday, according to a statement released by his office. While in Brussels, Thaci will meet with high representatives of the EU, including the President of the European Council, Donald Tusk, the President of the European Parliament, Antonio Tajani, and the President of the European Commission, Jean Claude Juncker. Bosnia's Cabinet of Ministers has responded after a row broke out over whether or not president of the Croatian parliament Bozo Petrov mentioned that he did not support calls for a third, Croat-led entity on his visit to Bosnia yesterday. A statement put out yesterday by the Council of Ministers about Petrov's visit said he opposed the idea of a third entity, but Petrov's party Most later issued a release saying that actually Petrov did not discuss it at the meetings. The Council of Ministers statement, published in local press, said it was "unpleasantly surprised" at the denial. 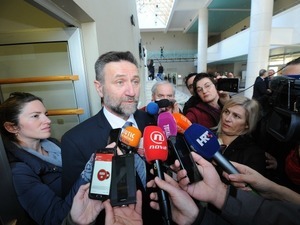 Bozo Petrov, chair of the Croatian parliament, again denied on Wednesday that he had told the chairman of Bosnia’s Council of Ministers, Denis Zvizdic, that Croatia was against the potential formation of a third, Croat-led entity, which is being advocated by some Bosnian Croats. During a visit to the southern Bosnian city of Mostar, Petrov called the claims “an attempt of provocation" initiated by those who are against the agreement between the three constitutive peoples in Bosnia - Bosniaks, Serbs and Croats, adding that his aim is to represent all of their interests, as well as those of Bosnia as a whole. Petrvo’s alleged statement, referred to in a press release issues by Bosnia’s Council of Ministers after a meeting between the parliament chair and Zvizdic, was reported in the media on Tuesday. Zvizdic said the Council of Ministers is "unpleasantly surprised" by Petrov’s rejection of the claims, and that its press release was based upon authentic statements made during the meeting. Three males, aged between 21 and 36, have been arrested and interrogated regarding the attack on a 17-year-old Iraqi asylum seeker on Tuesday evening in the central Croatian town of Karlovac, police confirmed for the regional N1 media outlet on Wednesday. The police confirmed that the group attacked the teenager "without a cause or reason" and stated that the suspects are accused of causing serious physical injuries, not of committing a hate crime. Police concluded that the state attorney’s office will decide upon the qualification of the crime. Among the estimated 2,000 migrants squatting in abandoned buildings near the central train station in Serbia's capital, Belgrade, are two former interpreters for the US military in Afghanistan, a new video by the UK’s Guardian reports. 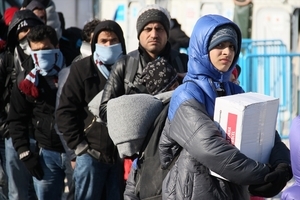 Twenty-seven-year-old Jamshid Shadab and 25-year-old Matiullah (Mati) Afzal have been stranded in Serbia for two months after setting off from Afghanistan six months ago with the help of smugglers to reach Europe. Jamshid worked as an interpreter for the US army for five years while Mati worked as a translator for 10 months before being taken hostage by the Taliban and eventually released after agreeing to never work with the US army again, the Guardian reported. Both have applied for special immigrant visas to the US, but Jamshid has had his twice denied and Mati’s is awaiting the outcome of his own application, according to the Guardian. In a recent interview with BIRN, Tatjana Ristic from the Save the Children organisation said that around 100 migrants arrive in Serbia every day. Data from UNHCR states that of those, around 46 per cent are children, Ristic said, adding that over 200 unaccompanied minors are among those sleeping rough in central Belgrade. Watch the Guardian's video here. More Albanians than any other nationality have been caught trying to enter the UK through its ports, according to statistics from the UK Home Office, the Guardian reported on Wednesday. The data obtained by the Guardian shows that 981 “clandestine migrants” from Albania were found at UK entry ports between 2008 and the spring of 2016. The figure is twice as many as any other nationality, the Home Office figures show. 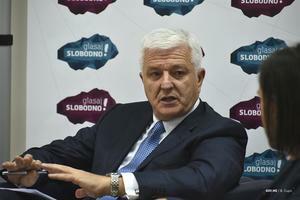 Prime minister Dusko Markovic has confirmed that Montenegro has a serious interest in participating in the Ionian Adriatic Pipeline (IAP) project, the government announced in a statement. Cooperation with Azerbaijan has been very successful so far, the government's press office quoted Markovic as saying during a meeting with the Azeri ambassador to Montenegro, Eldar Hasanov. Montenegrin PM Dusko Markovic. Photo: gov.me. Montenegrin railway operator Zeljeznicki Prevoz Crne Gore, ZPCG, said the 2.8 million euro subsidy under the 2017 state budget would be enough to cover its operating costs for half a year only, SeeNews reported. "With 2.8 million euro we can do nothing. We could only survive for six months," Montenegrin daily Pobjeda quoted the executive director of the state-controlled company, Vojislav Andrijasevic, as saying. ZPCG has prepared its plans on the basis of a subsidy of around 4.9 million euro and if there is no budget rebalance, the company would hardly cope with the lack of resources, Andrijasevic said. 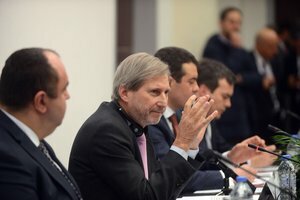 EU Enlargement Commissioner Johannes Hahn will use his visit to Skopje, Macedonia, on Thursday to get information on the talks between parties on forming a new government following the December 11 elections. Hahn came to Skopje to participate at a regional meeting of energy and economy ministers but would use his stay-over to meet on the sidelines with Macedonia's top officials and party leaders. The decade of wars, repression, hyperinflation and protests is documented through a young man’s eyes in a new exhibition of pictures by Serbian photographer Srdjan Veljovic. Read more. Bulgarian MEPs want Europe to pressurise Albania to recognise the existence of a Bulgarian community - although whether this community does actually exist remains controversial. Read more. Head of Serbia's European Movement, an NGO, says growing criticism by Serbian officials of the EU is undermining people's support for - and understand of - the European project. Read more. Russia issued a warning to the White House yesterday as expectations grew that President Trump supports the prospect of the tiny Balkan state of Montenegro joining Nato, the Times reported. Michael Flynn, the US national security adviser, was said to be in favour of allowing Montenegro, once part of Yugoslavia, to join the western military alliance. Croatian science and education minister Pavo Barisic has refuted claims published by news site Index, on the eve of a no-confidence vote against him, that he was reported for auto-plagiarism by the Augsburg University in Germany. 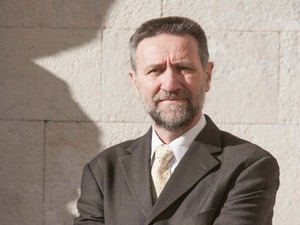 Defending himself, Barisic wrote an open letter, published on the ministry’s website, stating that auto-plagiarism is not defined as unethical in Croatia. According to Index's report, Barisic allegedly compiled a doctoral dissertation titled 'Welt und Ethos' ('World and Ethos') using previously published scientific papers without proper accreditation and represented it as an original and new work. Barisic successfully defended the dissertation in Augsburg in 1989. The Index report comes a few hours before discussions on a no-confidence vote – initiated by the opposition - against Barisic is scheduled to start, with the actual vote likely to take place tomorrow. Romanian Justice Minister Florin Iordache resigned on Thursday, as expected, over a government decree that had to be rescinded following mass street protests and international condemnation, Reuters reported. "I've submitted my resignation. I say that all that I've done was legal," Iordache told reporters. Sarajevo Canton Assembly has adopted a new law on the procurement, possession and carrying of weapons, with Sarajevo police to be able to impose higher fines. The new law allows for fines from 1000 to 1500 Bosnian marks (KM) for those who purchase ammunition for weapons without correct registration, as well as those who collect and sell old weapons without the proper permission, as well as for people who swap arms without permission. 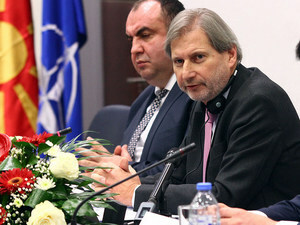 There is "no time to lose" for Macedonia to form a new government, and the broader majority it has in Parliament, the better, EU Enlargement Commissioner Johannes Hahn said during his visit to Skopje on Thursday. "We won't be giving advice to the parties on how to move on with their activities, but everybody should be aware of their responsibility. Now the interests of the country are at stake," he said. "The majority of people are rallying behind European perspectives. The sooner a government is formed, the better." He added: "The more stable the majority in parliament, the better. It is up to the politicians in the country to make the final decision." Hahn's statements come before his scheduled meetings with key political party leaders this evening. Two Afghan boys, aged 16 and 17, will be moved out of a child care centre in the historic Bulgarian village of Shiroka Laka, following threats by locals that they will organise protests and block roads, media reported on Thursday. The child refugees will be temporarily placed in a care institution in Plovdiv, due to fears of the locals in Shiroka Laka that they had been provided no information about the boys, whose presence they allege could affect tourism in the village. This is not the first time that refugees have been moved out of Bulgarian towns after protests by locals. As campaigns targeting NGOs linked to US philanthropist George Soros continue in the Balkans, Laura Silber - of Open Society Foundations - said illiberal governments were trying to divert the public from the real issues. Read more. Hungary's tightened border measures have turned migrants’ once relatively easy passage to the EU into a nightmare. Read more. Despite sporadic incidents of ethnic violence in the 1990s, the industrial city of Pancevo is home to 27 different ethnic groups and has accommodated several waves of refugees from the war years. Read more. 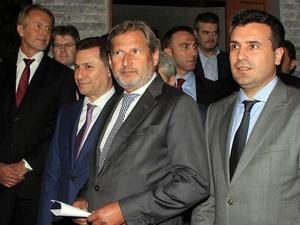 Macedonia's ruling VMRO DPMNE party leader Nikola Gruevski met with visiting EU Enlargement Commissioner Johannes Hahn in Skopje on Thursday evening with discussions expected to focus on the ongoing political crisis in the country and the efforts to form a new government, which are now centered around the opposition Social Democrats. 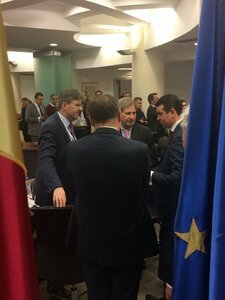 Gruevski, who was 40 minutes late to the meeting, avoided giving any press statements before or after the parlay and did not allow TV crews to record short clips from the meeting. The embattled leader, who is struggling to stay in power after the December 11 elections, said his party would send a press statement about the meeting on Friday. Three Chinese miners were found dead on Thursday evening after being trapped 1,500 metres underground for six days after a gas explosion at the Bulqiza chrome mine. 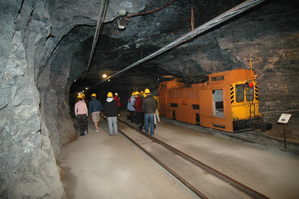 The three workers were employed by the Chinese-owned Wenzhou Mining Co Ltd, which was contracted by Albania’s AlbChrome to carry out works at the Bulqiza mines. Rescue crews had been working to find the men since they were declared missing after the explosion at the mine on February 4. Three other workers from China were seriously injured in the accident and are currently being treated in hospital. A Serbian court has rejected Montenegro's request to extradite one of its citizens wanted by Montenegrin authorities for his alleged participation in an attempted coup, Radio Free Europe reported. Serb citizens Predrag Bogicevic and Nemanja Ristic have been arrested on suspicion of involvement in an alleged plot to overthrow Montenegro’s government in October. The Belgrade high court rejected Montenegro's request to extradite Nemanja Ristic, saying the request was "unfounded." The decision was made on February 8, the court said. Serbian Foreign Minister Ivica Dacic told public broadcaster RTS on Friday that Belgrade will strongly oppose any possible formation of a regular army in Kosovo. 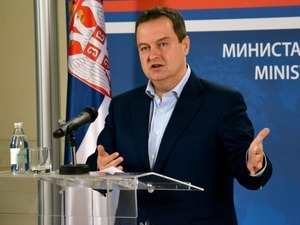 “If Srpska lista [the main party representing the Serb community in Kosovo] MPs vote in the interest of Serbian nation from Kosovo and Metohia, and I’m convinced it will be so, they won’t support the formation of a Kosovo Army in Kosovo parliament,” Dacic said. He also highlighted that, according to UN Resolution 1244, troops from NATO’s Kosovo force, KFOR, are the only military troops allowed in Kosovo. Dacic’s statement comes after Kosovo President Hashim Thaci said a day prior that Kosovo's own armed forces should be formed as soon as possible. 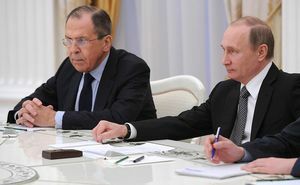 NATO’s actions in regions bordering Russia are undoubtedly of a provocative and destabilising nature, Russia’s Minister of Foreign Affairs, Sergey Lavrov, said in an interview for the Russian newspaper Izvestia, the Bulgarian Telegraph Agency reported on Friday. As an example of such actions, he named the deployment of additional NATO troops on the alliance’s eastern flank – in Poland and the Baltic countries - and the discussion for analogical presence in other Eastern European countries such as Bulgaria and Romania. Lavrov also highlighted national plans for modernisation of the military of some of NATO’s members states, as well as the increased scale and frequency of NATO training close to Russia’s borders as further provocations. Irregularities in the work of Bulgaria’s Ministry of Education is putting EU funding for an education programme in Bulgaria worth over 750 million euros at risk, the European Commission warned in a letter leaked to Bulgarian media on Thursday. The Commission said it had discovered problems within the ministry in October 2016 during an inspection of the management of the Science and Education for Smart Growth programme, which the EU is investing 595 million euros into over the 2014-2020 period. Bulgaria’s interim education minister, Nikolay Denkov, confirmed the authenticity of the letter on Friday and demanded the resignation of the director of the managing body of the programme, Tsvetana Gerdjikova. Denkov said that he is familiar with the management problems for the programme, which was his motivation for resigning as a deputy education minister in 2016 during the coalition government led by Boyko Borissov. Croatia’s Science and Education Minister, Pavo Barisic, survived a no-confidence vote in parliament on Friday, with 72 votes in his favour and 42 against. 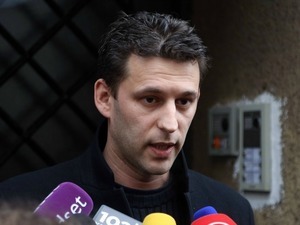 The opposition filed a no-confidence motion against Barisic in January over allegations that he committed plagiarism in his scientific article 'Does Globalization Threaten Democracy'. The representatives of the League of Social Democrats of Vojvodina, LSV, and the List for Rijeka signed on Friday the declaration against the militarization of the Balkans and Southeast Europe, LSV announced in a press release. Representatives of the two parties achieved a high degree of consensus and expressed deep concern about the open advocacy of the militarisation of the countries in the region, primarily in Serbia and Croatia, according to the press release. Both of the parties warned of the vast amounts of money being spent on arming Serbia and Croatia when the areas of education, science and culture are being neglected. In its press release, LSV also included the phrase "Who is not good to neighbours, should think over himself." The High Court in Belgrade acquitted the former director of the Federal Customs Administration, Mihalj Kertes, and three other defendants who were charged with abuse of office over their alleged involvement in cigarette smuggling from 1996 to 2001, Serbian media reported on Friday. However, the court sentenced Bojana Jeremic, the widow of Vladimir Kovacevic Tref, who was allegedly involved in the smuggling ring and was assassinated in 2007, to five years in prison and for her assets, worth seven million euros, confiscated.